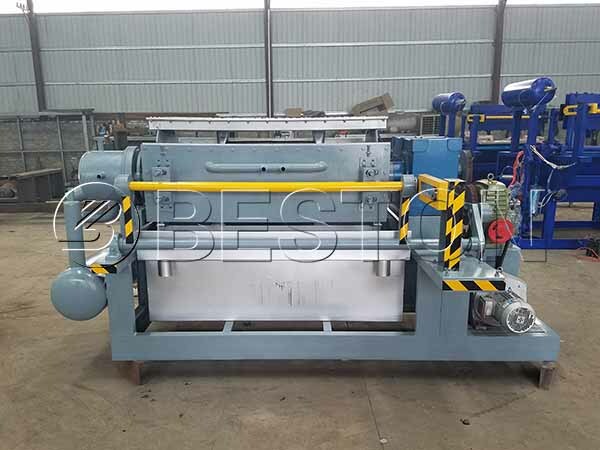 Shoe tray making machine is a kind of paper pulp molding machine. It emerges to produce paper pulp shoe trays, which are widely used to protect shoes during transportation. Among various kinds of shoe trays, paper shoe tray spreads quickly due to its advantageous features, such as cheap in price, light in weight. Beston Machinery takes advantage of extensive experience and advanced technology on pulp moulding machinery to introduce a complete shoe tray production line. 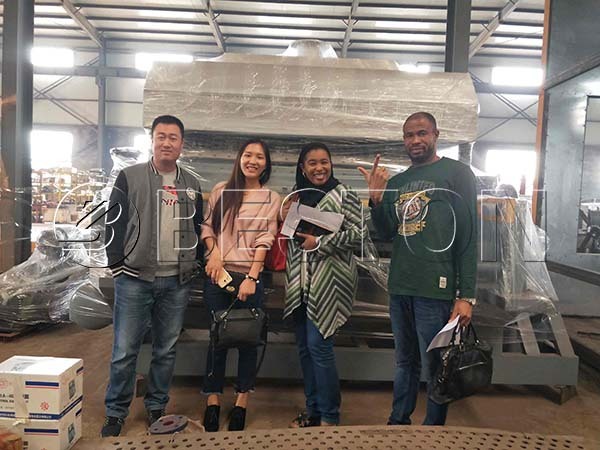 In recent years, we have made a series of high-quality paper pulp moulding machines to order for customers all over the world. If you are planning to start a paper pulp tray manufacturing business, please contact us now! Shoe tray machine is an innovative fruit on the basis of egg tray making machine. Its capacity is also mainly in connection with the quantity of molding dies. In general, there are 3 to 6 forming molds on each side. 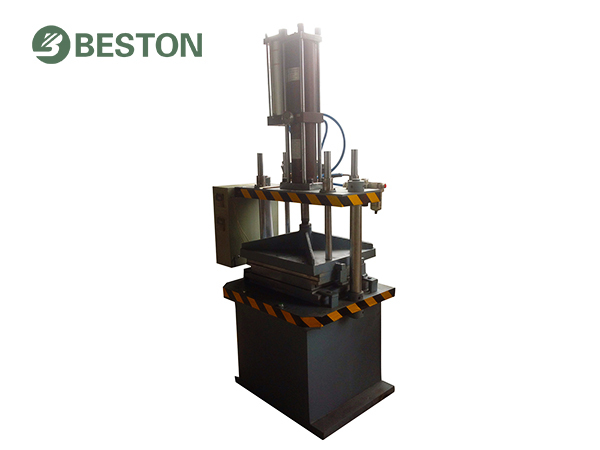 And we have one-sided, four-sided, eight-sided and twelve-sided shoe tray making machines for sale. Accordingly, the maximum output can be 9000 pieces each hour, while the minimum hourly capacity is under 1000 pieces. Here are more parameters. We figure out these parameters above on the basis of egg trays of 0.1 kg. Shoe tray making machine will be designed according to customers’ requirements and the parameters will be different. Just like egg trays machine, it also covers four systems, that is, pulping system, molding system, drying system and packing system. 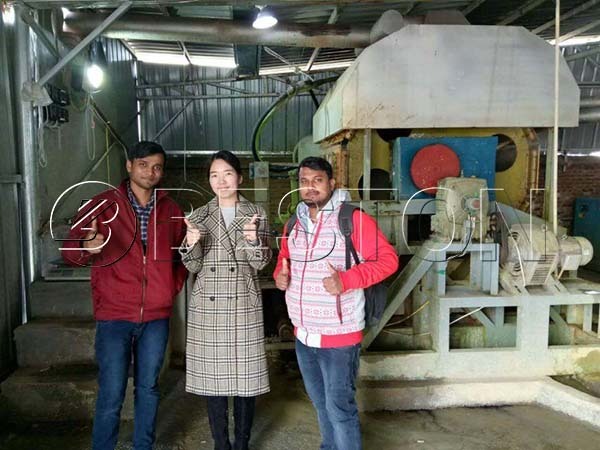 After placing the raw materials, water and additives into hydraulic pulper proportionally, the pulping system and molding system will work based on the presupposed procedure. We can produce different products with different molding dies. For instance, shoe tray making machine is equipped with designed shoe tray molds. The wet products are dried and packed manually or automatically after demolding. On the one hand, our company has focused on improving the performance of our pulp molding machine since our establishment. On the other hand, we are striving to increase the automation of our pulp molding production line to offer diverse options for customers. Here is a video of the test run of BTF-1000 shoe tray making machine. From the video, you may know the shoe tray manufacturing process better. 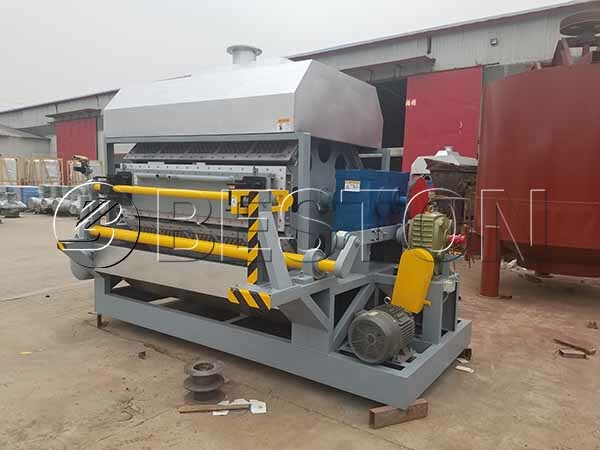 Except for the necessary components, such as pulp forming machine, vacuum pump, we often recommend a hot press machine to reshape the shoe trays. Hot press is commonly used to make the surface glossy and well-pressed. Meanwhile, the neat products are easy to stack and transport. Our hot press is specially designed for shoe tray making machine, which is efficient and energy saving. The pressure and temperature are stable and adjustable during working. Besides, it is controlled automatically, which makes it safe and simple to operate. Here is a video showing the working process of a hot press machine. There are many kinds of shoe trays, such as wooden shoe trays, plastic shoe trays, foam shoe trays and pulp shoe trays. However, pulp shoe trays are characterized by the low price, handiness, and biodegradation among them. Predictably, pulp shoe trays will be the new favourite product. As for the broad market, it is wise to invest a shoe tray making machine. Besides, waste paper can be recycled through a pulp molding production line and the abandoned products can be degraded after use. For the other thing, there is no waste water or exhaust emissions during the whole pulp tray manufacturing process. Especially, Beston Company has committed to improving the technology of energy-saving and emission reduction. Each piece of equipment of our pulp molding production line has been tested and approved. 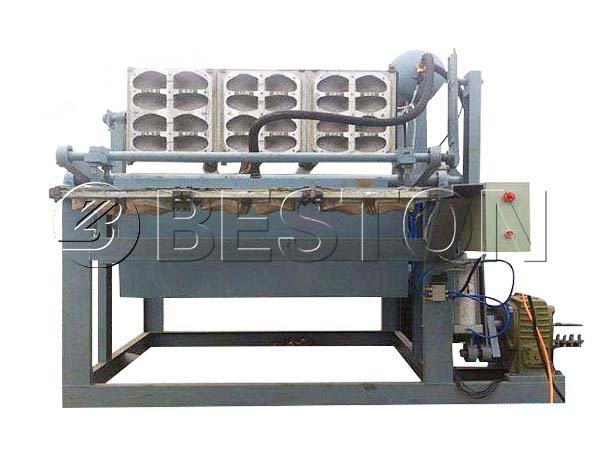 You can enjoy cooperating with a reliable egg tray machine manufacturer. 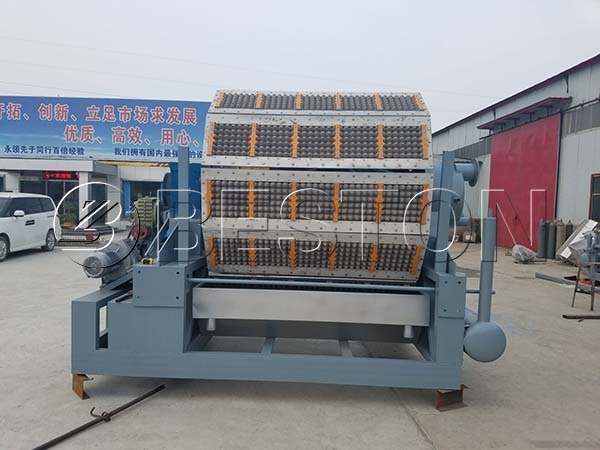 Similar to the egg tray production line, scrap paper is used as raw materials for shoe tray making machine. We can find waste paper everywhere, such as old newspaper, old cartons, offcut. In particular, the cost of waste paper recycling is low. The rich and cheap resources make shoe tray manufacturing industry more acceptable. In general, the egg tray production process is simple. However, there are lots of parts in the whole production line. And these parts closely connect with each other, especially for an automatic egg tray machine. We insist on introducing frontier technology to improve the stability of our products, shoe tray making machine included. Expect for the molding dies, the other parts can be customized as well. For example, the pulp pools can be built on the ground or under the ground. Both machines and the plant, such as the pulp pools, are durable. The whole pulp molding production line is easy to operate and maintain. Therefore, the costs of operating and maintenance will be greatly reduced. It is important to notice that the related parts will be a little bit different at different specifications. For example, the length of the drying room is longer for the paper tray forming machine with a larger capacity. In this way, the wet products can be dried as expected. Our designers will offer you the most suitable solution in accordance with your local conditions and your specific demands. In addition to the best investment project, our technicians will perform process optimization, quality control, and troubleshooting in service. There are a large variety of shoes available on the market today. In other words, there is a broad market for shoe trays. At the same time, it requires special attention to the design of shoe tray molding dies. Our dismountable molds are offered to make the pulp molding production line multifunctional and efficient. 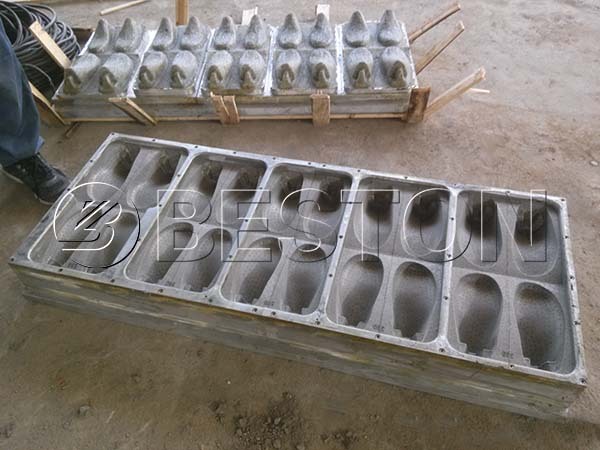 Investing a paper pulp molding machine from Beston is certainly an excellent choice.